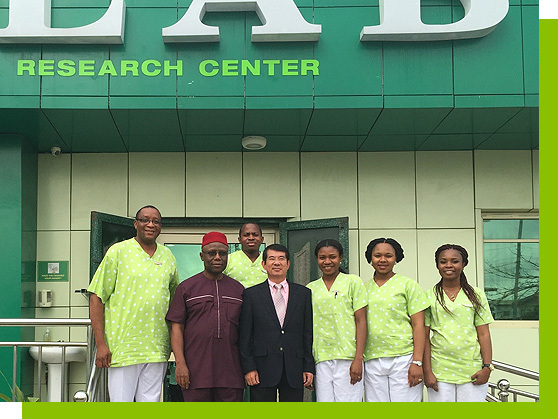 EL-Lab Medical Diagnostics and Research Center is one of the leading indigenous medical diagnostic centres in Nigeria. Established in 1998 and with our key Diagnostics Complex situated in Festac Town, Lagos, Nigeria, we offer state-of-the-art medical diagnostic services to patients in Lagos and environs. The Center is one of the most comprehensive diagnostic facilities in Lagos and meets international standards. Our years of excellent service delivery and compliance to international procedures and standards, has earned us the ISO 15189:2012 Accreditation, one of only three laboratories in the entire country accredited to this global standard. The El-Lab facility is also involved in medical research. We offer a wide range of reliable and accurate diagnostic and screening laboratory tests so everyone can enjoy a better and healthier life. On a walk-in basis, patients can undergo Digital X-ray, Mammography, 2D & 4D Ultrasound, ECG, ECHO, EEG and several others, with reported results from certified Radiologists, Cardiologists, Neurologists and other medical specialists. Visit us today to experience our consistently reliable diagnostics services. 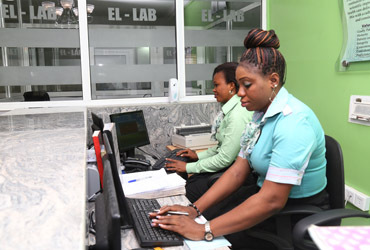 The El-Lab Medical Diagnostics and Research Center is fully registered with the Corporate Affairs Commission and the Medical Laboratory Science Council of Nigeria (MLSCN); accredited by the National Health Insurance Scheme (NHIS) and the Lagos State Health Facility Monitoring and Accreditation Agency (HEFAMAA) as a secondary healthcare provider. We are recipients of several Merit Awards of Achievement and are in partnership with several agencies as part of support to the healthcare delivery system. El-Lab is certified to ISO 15189:2012 standards by the MLSCN with support from the Centre of Disease Control and Prevention (CDC) and this means that in carrying out our work, El-Lab meets global standards for management responsibility, operational processes, quality and tools for error awareness, detection, remediation, prevention and correction; document control, internal audit and indicators, operations monitoring, customer satisfaction and other very comprehensive benchmarks. Our major aim is to continue to maintain and exceed the benchmark requirements / standards for national and international accreditation in accordance with ISO15189 line and WHO-AFRO/SLIPTA standards. The following Values lie at the Heart of all El-Lab does, from our Staff to all our work processes. To be an indigenous standard and modern medical diagnostic institution that consistently makes steady scientific improvement in health care delivery combined with a culture of care and consistency. The El-Lab Center has highly qualified staff headed by an internationally certified biomedical scientist with wealth of experience from the international medical industry, who has successfully managed the company and personnel for over 21 years. Our team consists of highly qualified Medical Laboratory Scientists, Radiographers/Sonologists, a Consultant Pathologist, a Consultant Radiologist, Medical Officers, Doctors, seasoned Administrators, a Safety and Quality Assurance Manager together with several Support Staff. 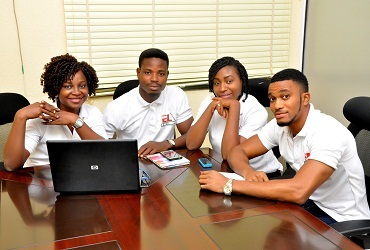 Mr. Elochukwu is the Managing Director /Chief Executive Officer of the organization. 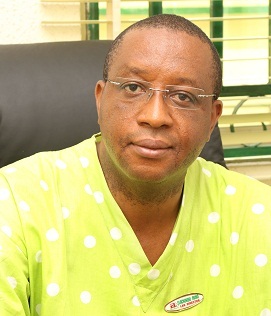 He holds Bachelor of Science & Technology in Microbiology, Masters of Science in Microbiology, and has acquired further post-graduate training in Medical Laboratory Science from Lagos University Teaching Hospital with specialty in Cyto/Histopathology. He is a member of prestigious Institution of Biomedical Science in the United Kingdom and the Royal Microscopic Society. He is also on the register of the Health Profession Council also in the United Kingdom. He attends and maintains continuous professional development courses and management training in Nigeria and overseas. Elochukwu Adibo has successfully run the affairs of the organization for over 21 years. Our Track record in the last 15 years includes research partnerships and medical services to several organizations. 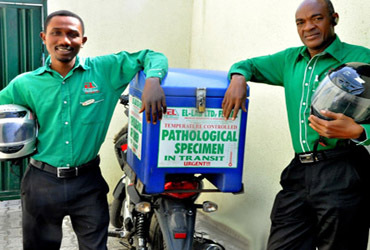 El-Lab has several Corporate Clients within Nigeria who are part of our history of professional diagnostics services.